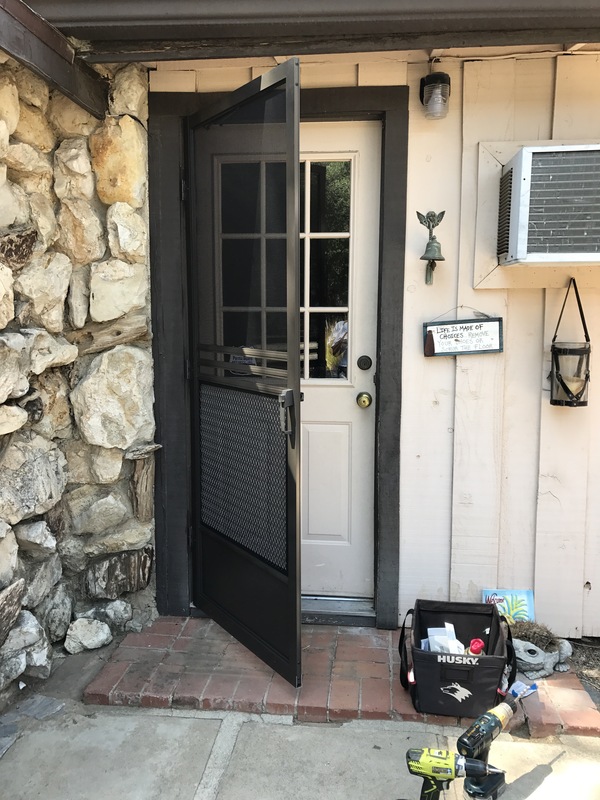 Econo | Screen Door and Window Screen Repair and Replacement Simi Valley, Thousand Oaks and Surrounding Areas. 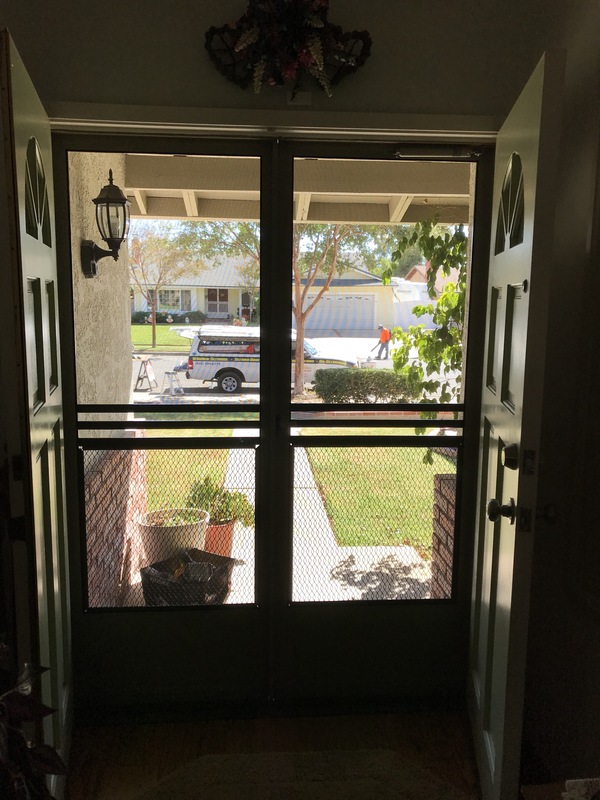 Swinging screen door set installed in Simi Valley. 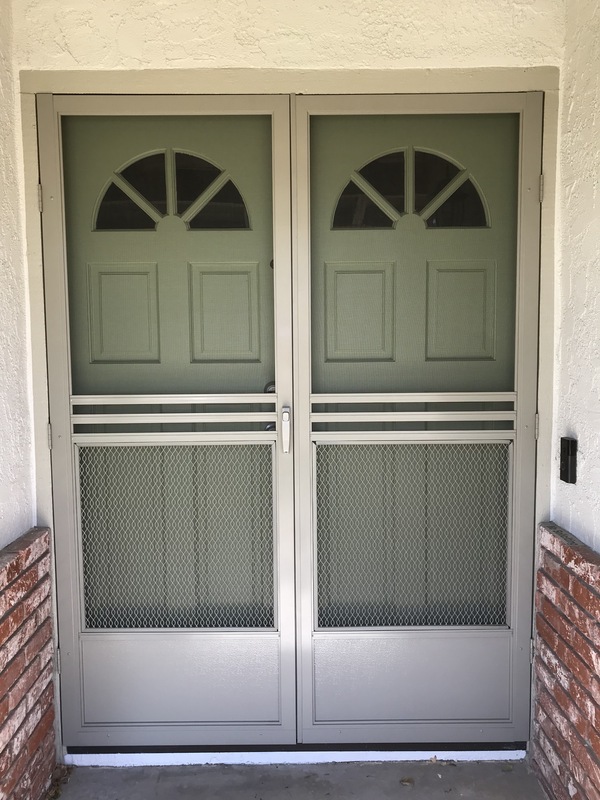 Simi Valley swinging screen door set installed for double front doors. 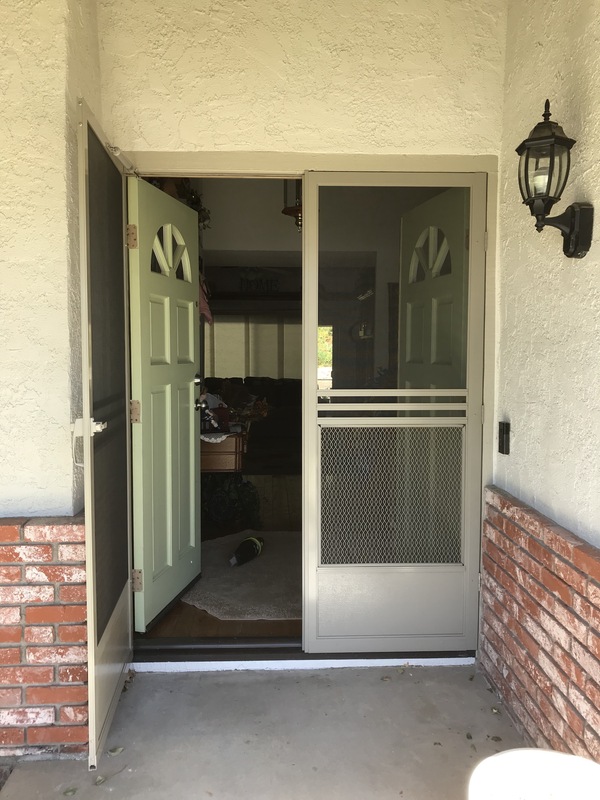 A new replacement of screen doors for the entry doors in adobe color for our repeat client. 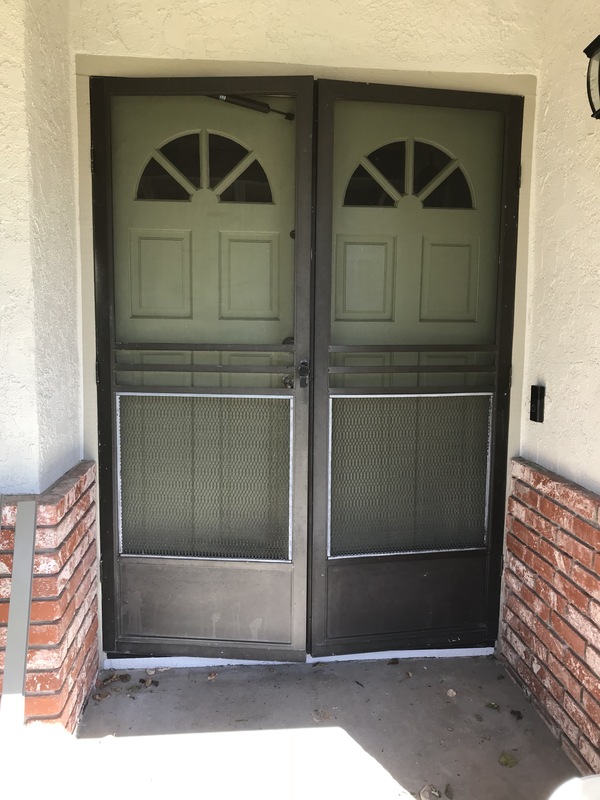 Our client already ordered on swinging screen door for the side of the house last summer and loved it so much she wanted more. 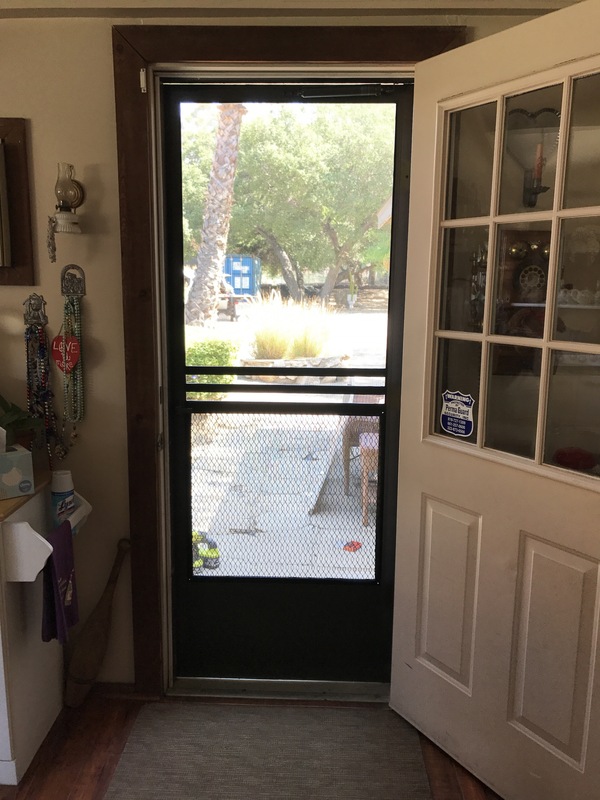 Our hung swinging screen doors are much better quality than what you could find at your local hardware store , not to mention that we specialize in screen door installation. And if that isn’t enough we also offer free adjustments. 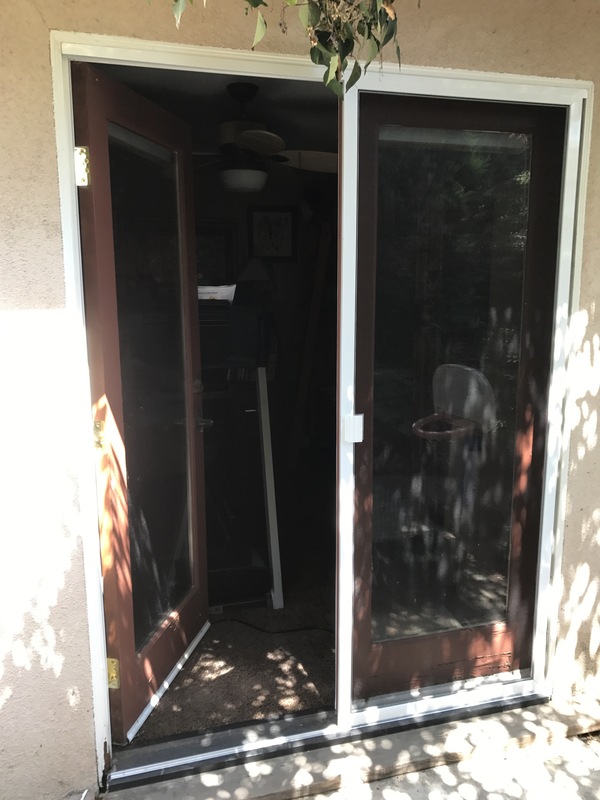 Call us today to get your old ugly screen doors replaced!!!! Ask for Marcelo for a free estimate!!! 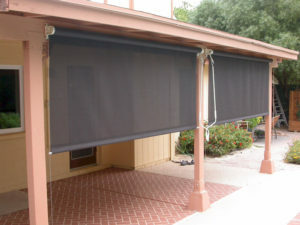 Sun shades are perfect for those areas outside of the house where the sun is just too strong and needs to be controlled. 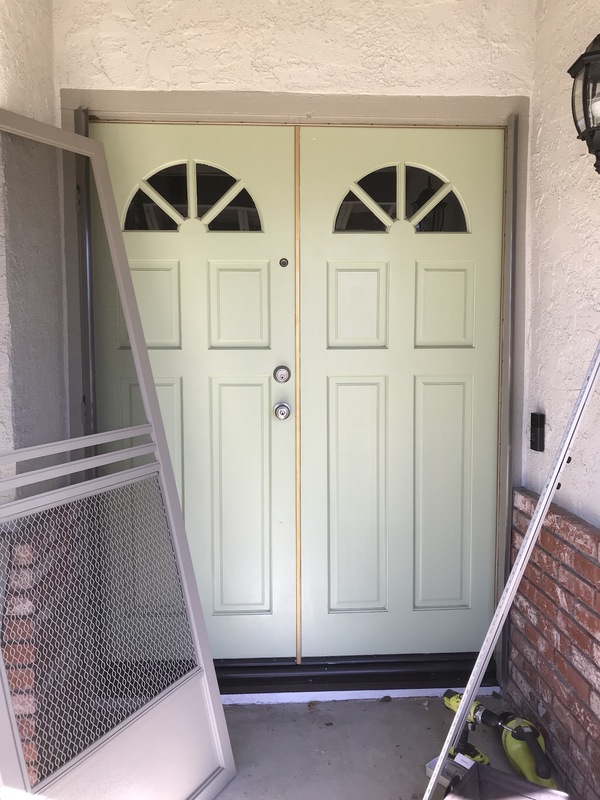 Simi Valley swinging screen door replacement for an old broken down cheap homedepot screen door. Is you swinging Screen door in front of your home or garage area even the side or back good quality. Is it flimsy and won’t shut right or even swing properly ? 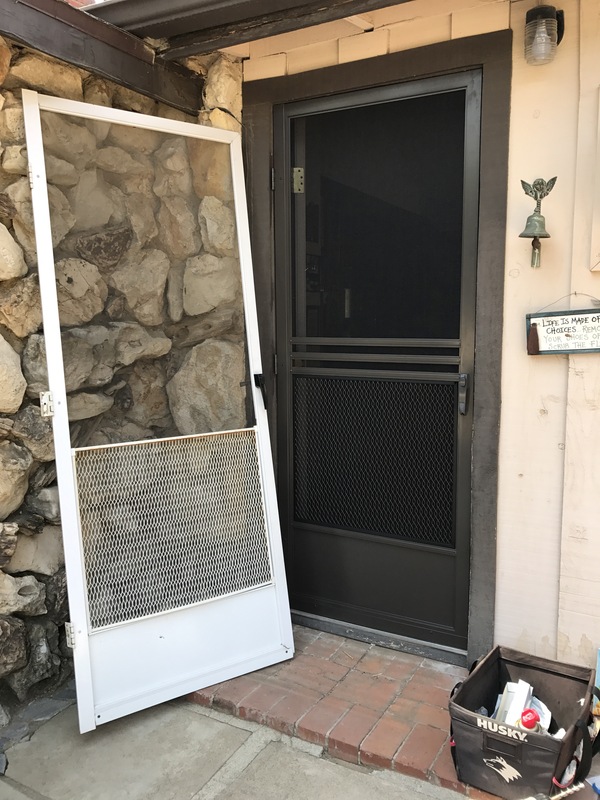 Econo Screens is a mobile screen door repair service that specializes in swinging screen doors in Simi Valley and surrounding areas, 50 miles round to be precise. We make heavy duty top of the line swinging screen doors or what some people call hung screen doors. Our quality is built to last and use over and over again! Call me , Marcelo at (805) 304-6778 to get a free quote. 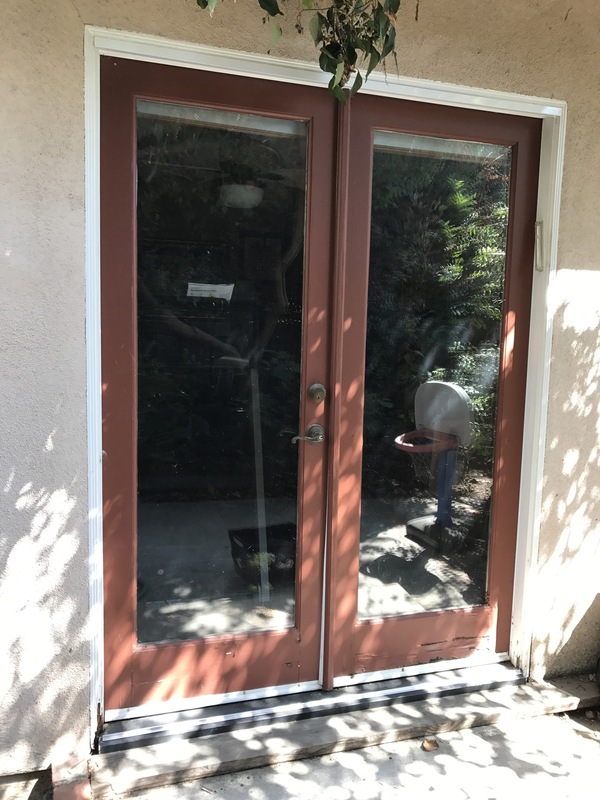 Installing a new sliding screen door on a French doors set in Ventura. My clients always wanted to be able to open these double french doors that open in but kept getting flies in the room and were sick of it! 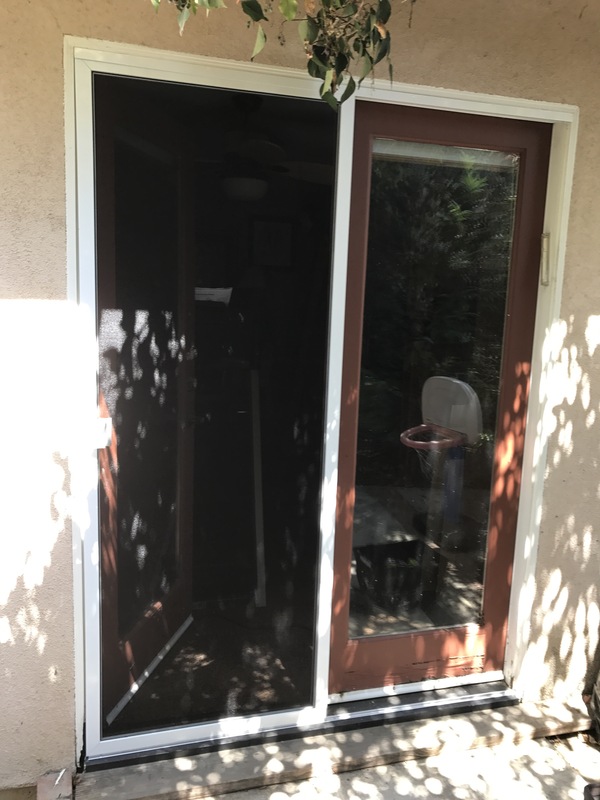 We have installed sliding screen doors like this since the early 1990’s We simply adapt it for a sliding screen door frame by adding top and bottom channel and building a top of the line sliding screen door. 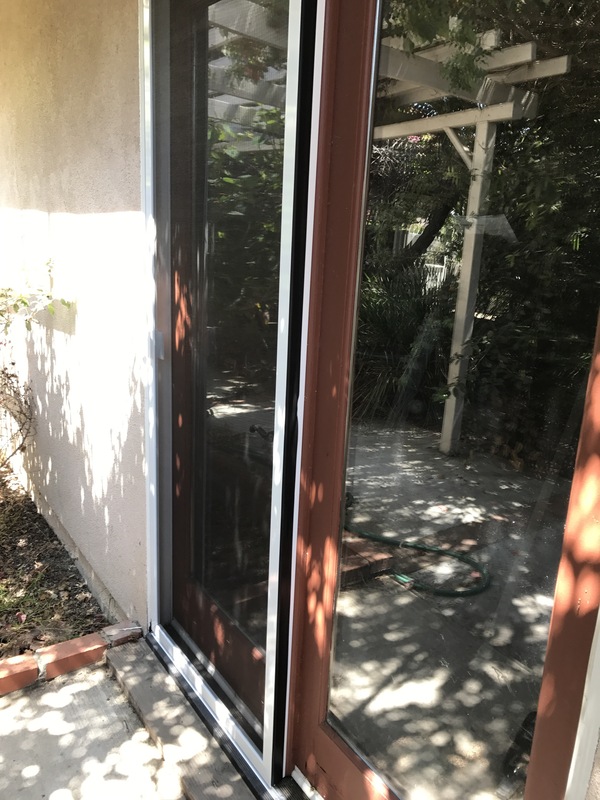 Window Reacreening and new Window Screens in Simi Valley. Mobile Window Screen repair service in Simi Valley for large double hung window screens. 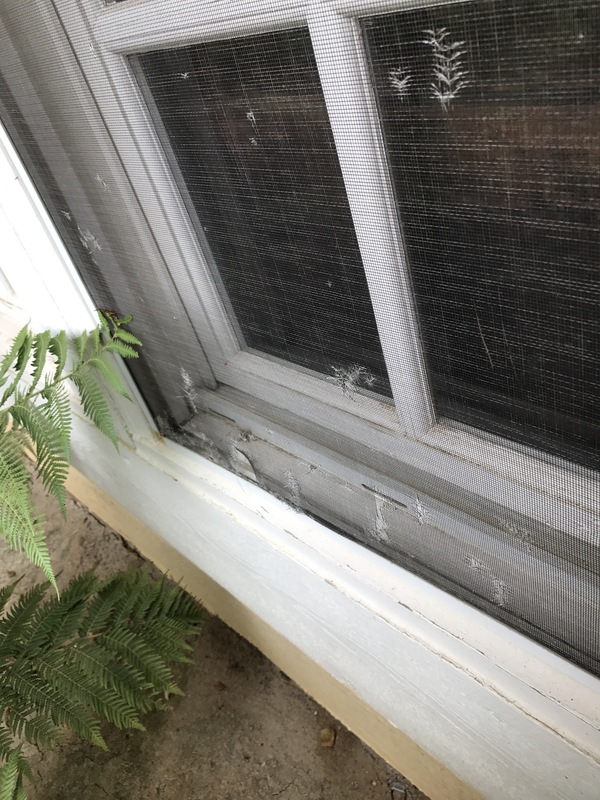 A lot of window screens are made with plastic corners that start to break after a few years causing the window screen to prematurely fall apart. Most of these window screen don’t have to be replaced if the frames are good , what has to be fixed is the corners. We at Econo Screens mobile screen service fix window screen corners and can save you money by saving the frames. Call us today to get a totally free estimate in writing at the job site. 805 304-6778 and ask for Marcelo! !